Thirteen miles of pristine beaches, rich history, unique shops, quaint churches and a long tradition of Southern hospitality are all reasons to consider an Amelia Island resort for your dream destination wedding. Named for Princess Amelia, the daughter of George II of Great Britain, Amelia Island is a Southern gem befitting a modern princess bride. 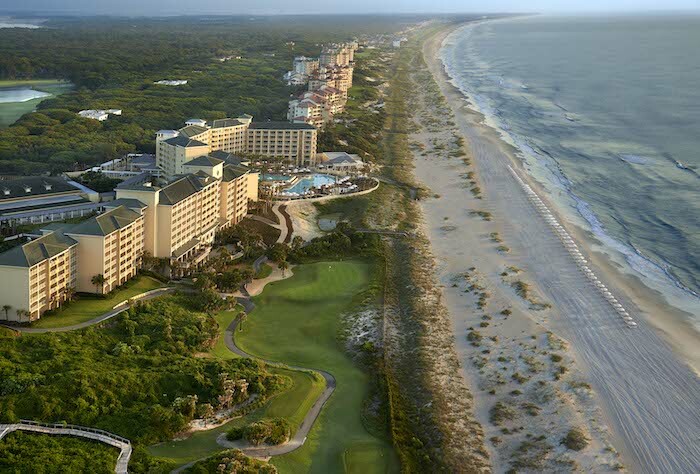 Amelia Island is part of a chain of barrier islands, a short distance from Jacksonville, Florida with frequent and convenient flights from most domestic cities. With the magnificent Atlantic Ocean at your doorstep, the Omni Amelia Island Plantation Resort is a perfect mix of laid-back and luxury. Each airy, beach-inspired room has an ocean view and there are a variety of choices when the “hungries” hit. Foodies will savor the chef inspired culinary treats at the Marsh View Bar and Grill, Oceanside, Marché Burette, and private events can be planned at “The Sprouting Project,” the unique vision of Chef Daven Wardynski. I have never seen a more inspired presentation than charcuterie served from an outdoor fence. 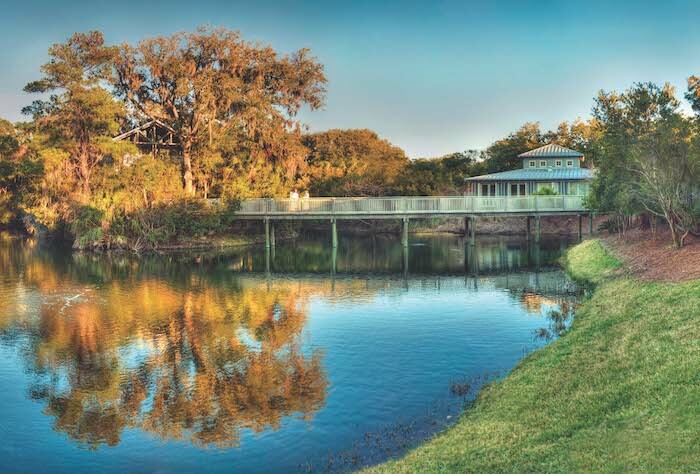 Both land and sea activities will entertain your wedding guests, including golfing, biking, fishing, swimming, boating, shelling and paddling through the marshes, to name just a few. We even ventured over to Amelia’s Wheels, donned a helmet and stepped on to a Segway to meander along the trails throughout the beautiful resort. Your family and friends can either break a sweat or bask in the sun and will thank you for the experience. 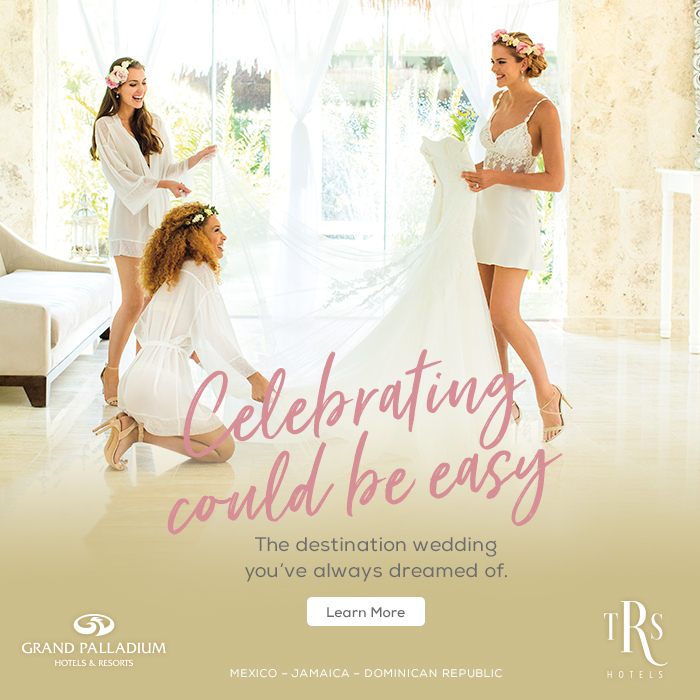 Gather your loved ones and kick off the event with a beach party around a firepit or indulge your wedding party at the spa with the relaxing Sea, Sand and Salt Package or the Plantation Blossom Ritual. The main event is certainly your wedding ceremony and reception and the Omni Amelia Island Plantation has a wide variety of venues to select from. 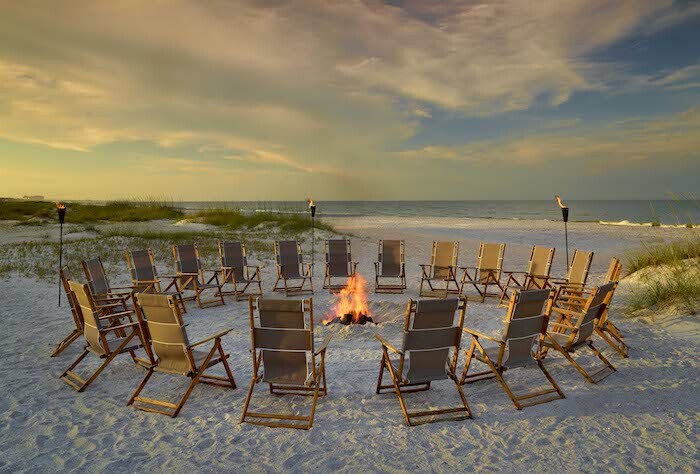 There are three-and-a-half miles of coastline for the “sand-between-your-toes” beach ceremony, the splendid views and generous reception space of Walker’s Landing on the marsh side of the island, the Oceanview Terrace overlooking the Atlantic or the Amelia Plantation Chapel conveniently located near Red Maple Lake. To top it all off, when you have your destination wedding at Omni Amelia Island Plantation, there is the added perk of a complimentary honeymoon at one of 14 of Omni’s other resort properties. 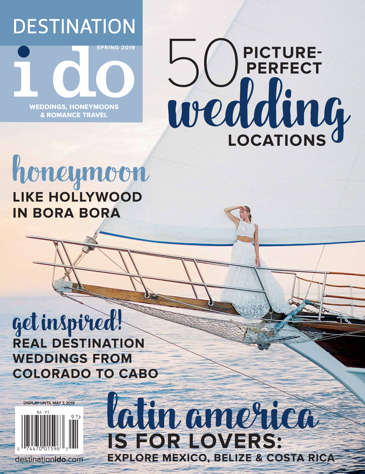 This article can be found on page 33 of the Fall/Winter 2018 issue of Destination I Do magazine.